2013 Aug. 24: Queer Africa Book launch…here comes the pessimist!!! 2013 Aug. 17: Gay and Lesbian Memory in Action (GALA) and MaThoko’s Books launched Queer Africa at the University of the Witwatersrand, Braamfontein. 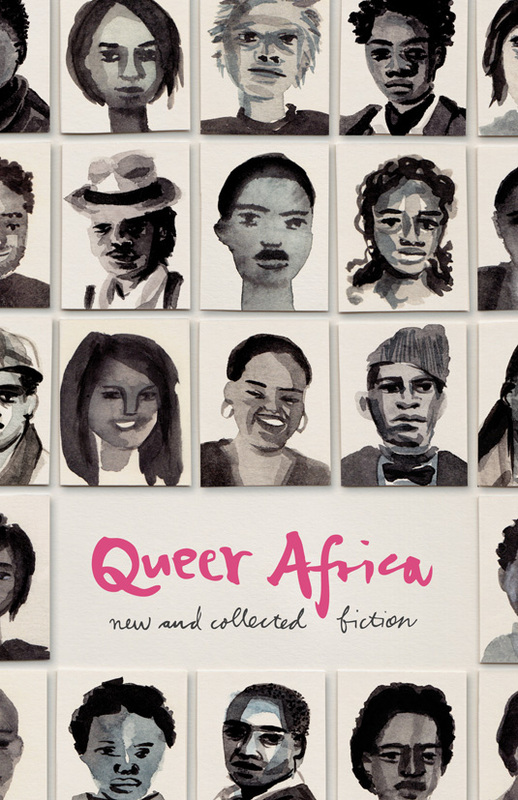 Queer Africa is a collection of short fiction written by talented writers on queer lives and experiences. Edited by Karen Martin and Makhosazana Xaba, the two formed part of the panel which included Makgano Mamabolo (actress, writer and director) and Ashraf Johaardien (Head of Arts and Culture at University of Johannesburg). Cover of the Queer Africa book launched on the 17th Aug. 2013. The panel took on several discussions around the state of queer literature in South Africa and Prof. Tommaso Milan took on the handy task of facilitating the discussion. The event was well attended by university students, academics and professionals. Just from observing the interaction between attendees as they firmly held on to their wine glasses, I could not resist the fresh reminder on how much of a privileged space it was. As much as I acknowledge the platform that allows queer stories to be told, I will be sour once again and highlight why my celebration of the book was not complete. Firstly the book is published in English and no other language is represented in the collection. I was taken apart by this considering the wealth of languages we have in our country. This also speaks seriously to structural inequality and how language is far from being separate from these politics. How many individuals (even our queer folks) can express themselves thoroughly in English? I think it’s important that these reproductions reflect our uniqueness and diversity as queer collectives and language is part of it all. I can imagine how refreshing it would be to read a story about a transgendered woman in Xhosa. Secondly, the contributors of the compilation are quite distinguished writers and from reading their biographies they all possess or in the process of getting a university education. That really makes sense why the book is published in English in the first place. Accessibility is still an issue and really demands our attention, and it cannot be ignored that this space is still privileged. I can only hope that the publishers extend the call for submissions next time to those who may not really have access to these platforms, as they may not necessarily be in the system that grants these incredible opportunities. Although publishers may complain about their capacity and budgetary constraints that will enable them to extend equal opportunity, there should be some effort in addressing this particularly. I can complain all day long about this and as responsible social activists we should create consciousness around this issue whenever these projects are conceptualised. We come very far with our struggle as South African LGBTI community and without any further reservations, I am grateful that there is a book that tells our stories. These are our lives, our journeys and it is imperative that we have full ownership of them. 2013 July 29: Education, Queer Youth, Hate Crimes: So where to from here? This entry was posted in As we are, Before You, Homosexuality, Human rights, Institution, Jeremiah Sepotokele, Johannesburg, Know Your SA Queer History, Lawyers, Legal, Opinion, Power of the Voice, Privilege, Queer texts, Records and histories, Speaking for ourselves, Visualizing public spaces, We Are You, We Care, Writing is a Right, Xhosa, Youth voices and tagged Articles; Book launch; Comments; Gay and Lesbian Memory in Action (GALA); Privileges; Queer Africa; Ashraf Johaardien; Tommaso Milan ; Writing Is A Right; University of Johannesburg; Book; Wits Univer. Bookmark the permalink. 3 Responses to 2013 Aug. 24: Queer Africa Book launch…here comes the pessimist!!! Hi. Interesting piece! I just wanna touch on the issue of language. Mostly, if not all SA’can indigenous languages do not have words that are used to describe us LGBTIA individuals. If they do exist, they’re very derogatory (stabane, moffie, unqingili) and could send the wrong message to communities. As a language practitioner in training, I know that it is not easy to translate a word that exists in one language to a word that does not exist in another. Just a month ago, we did an assignment on it. Doing it would require a lot of additions, which would really take away from the text first submitted.